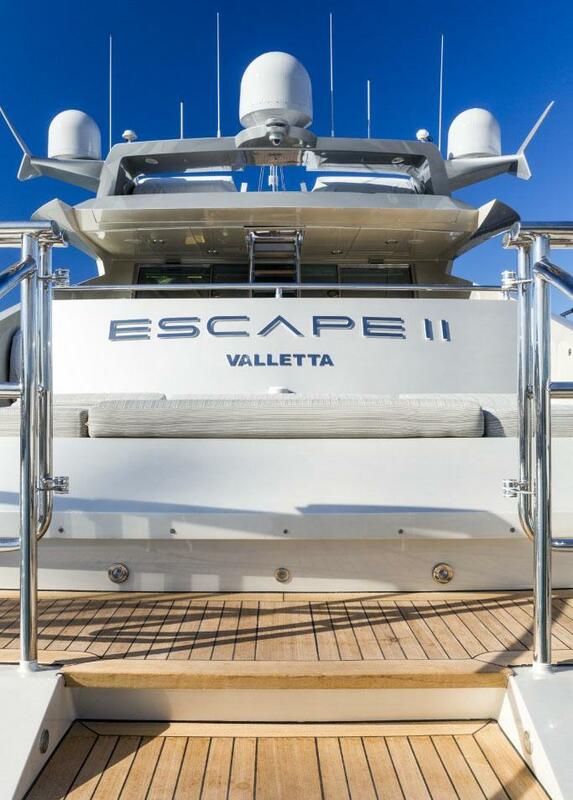 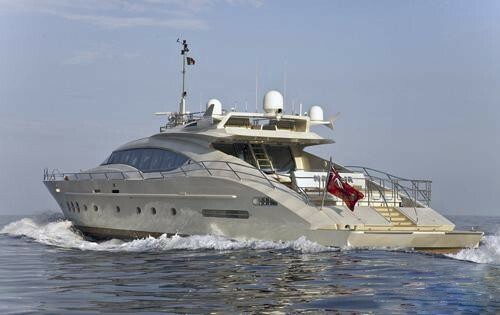 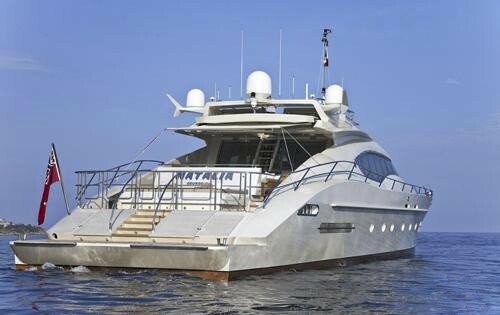 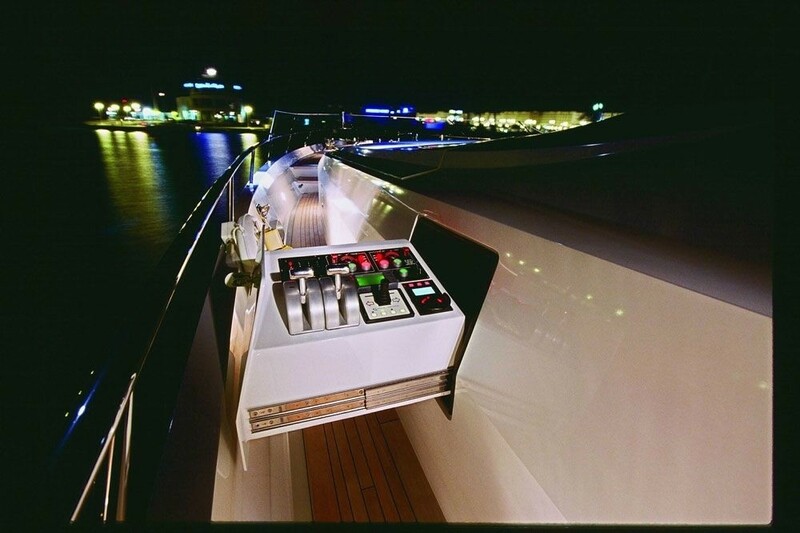 Motor yacht ESCAPE II (ex Natalia) is a 2005 Palmer Johnson 120 performance motor yacht, as designed by the Italian yacht design company Nuvolari & Lenard. 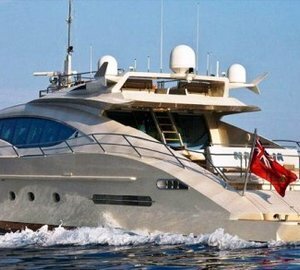 This fast and good looking superyacht combines the style and elegance of an open style yacht with the additional space, accommodation and usability of a flybridge motor yacht. 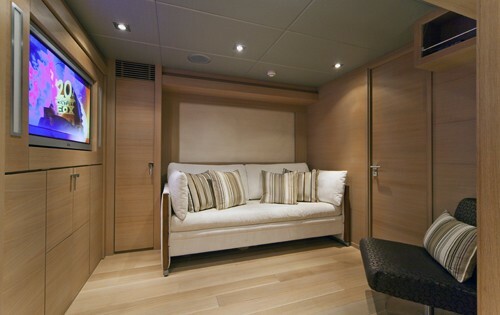 The interior layout of ESCAPE II is user-friendly and intelligent with ample head room and wide panoramic windows which provide plenty of natural light. 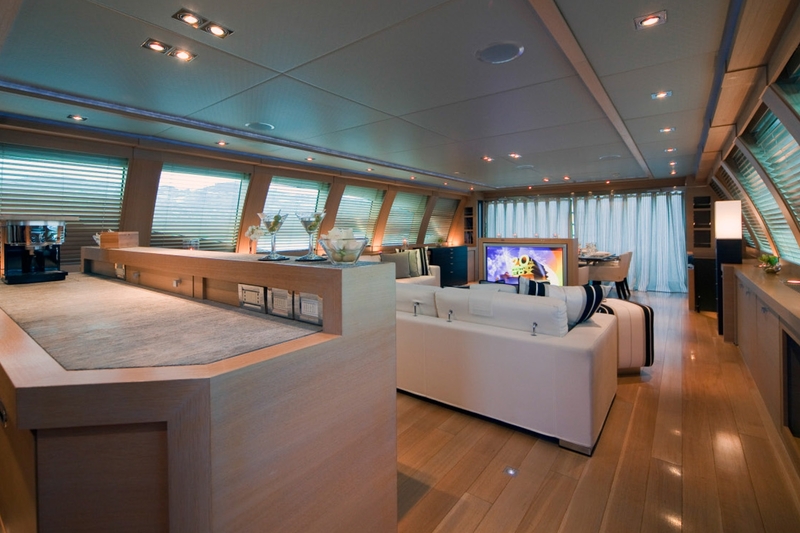 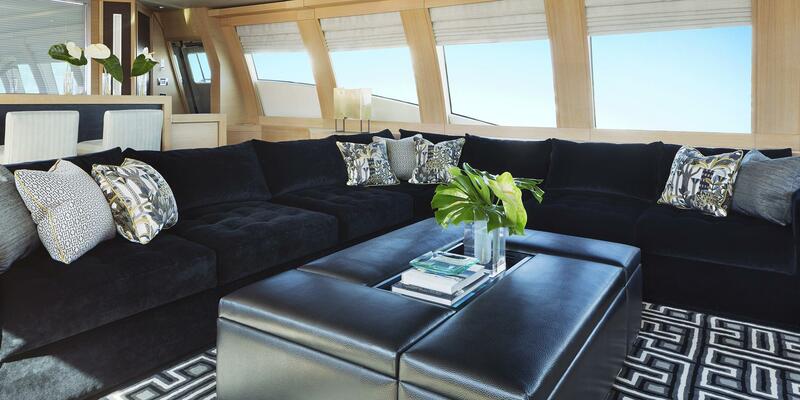 The salon is magnificent including lounge and interior dining, which flows onto the deck where additional relaxation and entertainment areas exist. 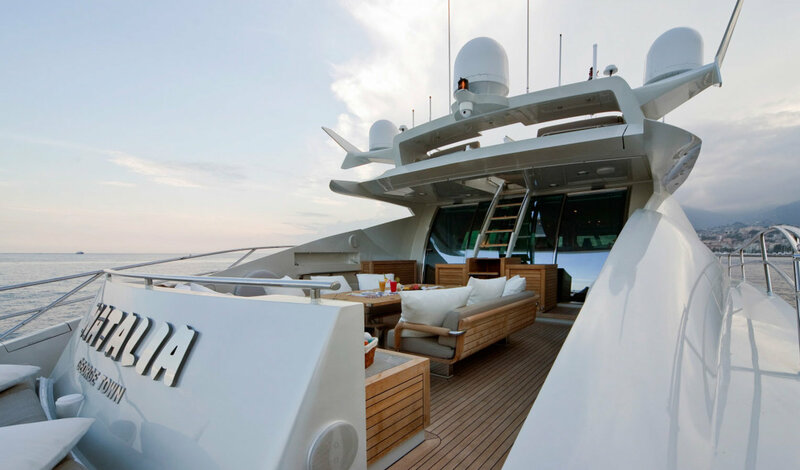 Palmer Johnson superyachts are renowned for their fantastic good looks and for giving a comfortable and high-quality ocean ride. 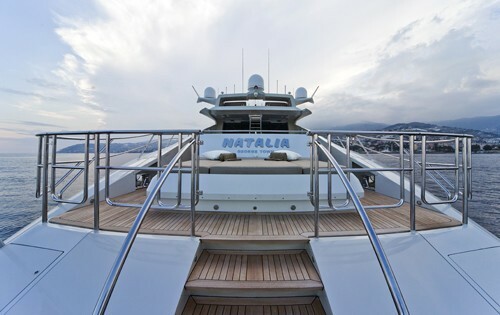 This yacht certainly lives up to this reputation. 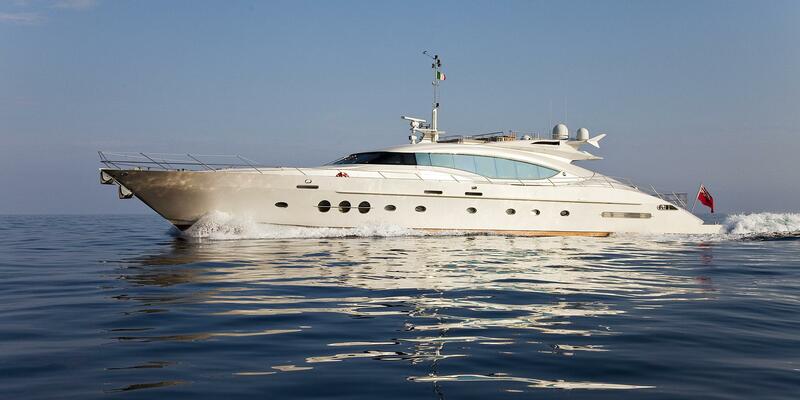 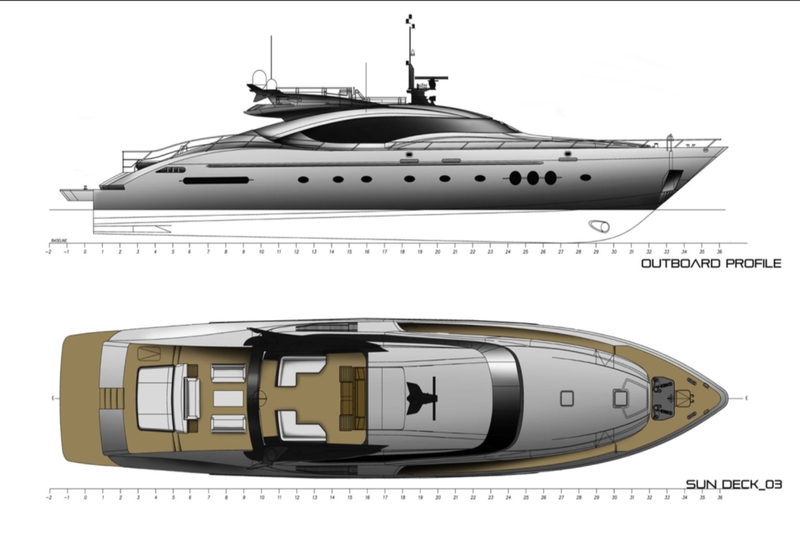 She offers powerful performance alongside a sharp, head turning design by Nuvolari & Lenard. 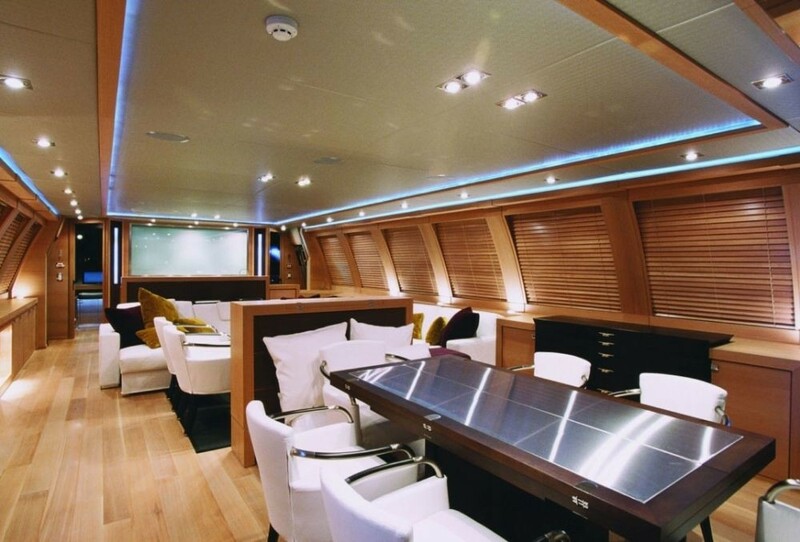 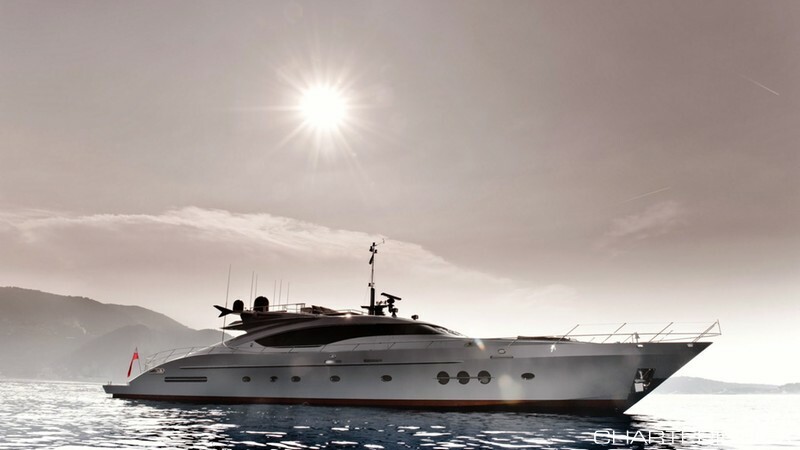 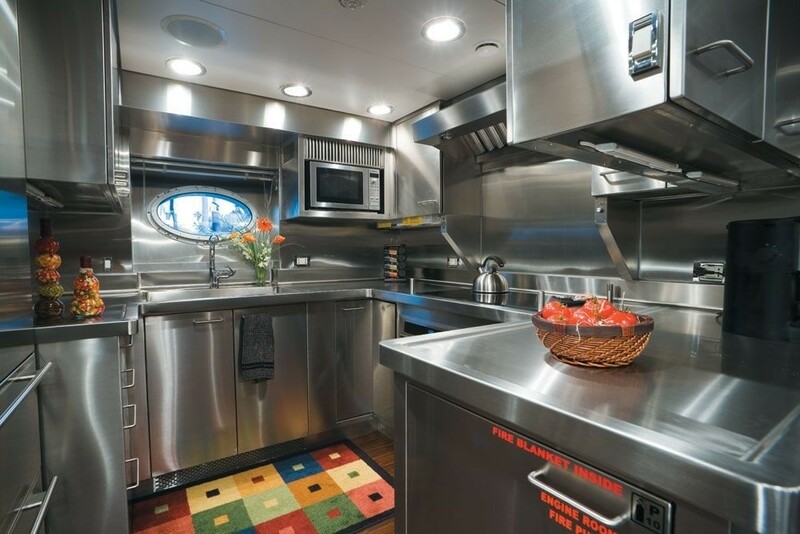 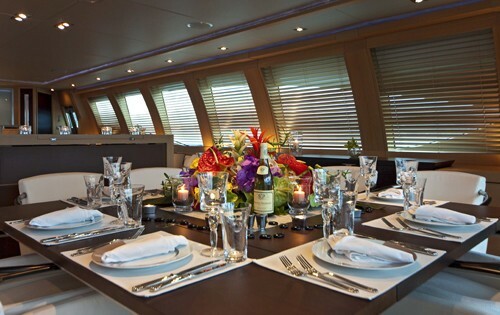 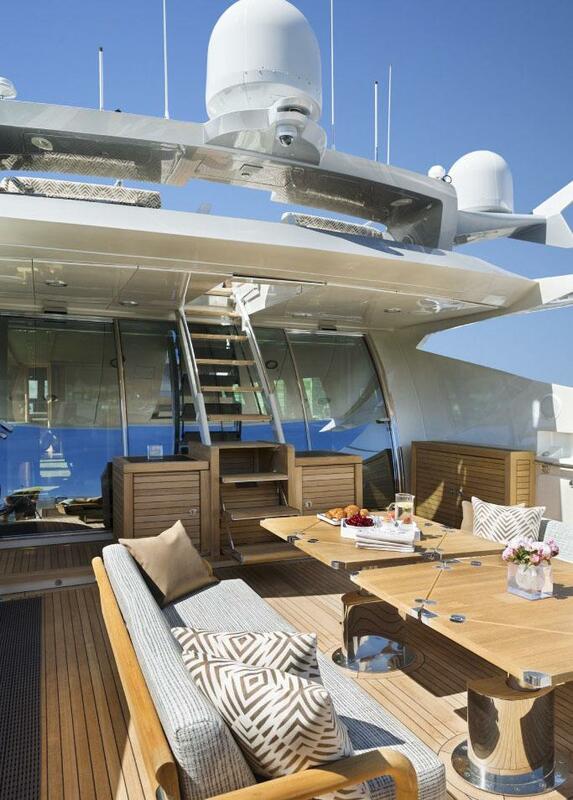 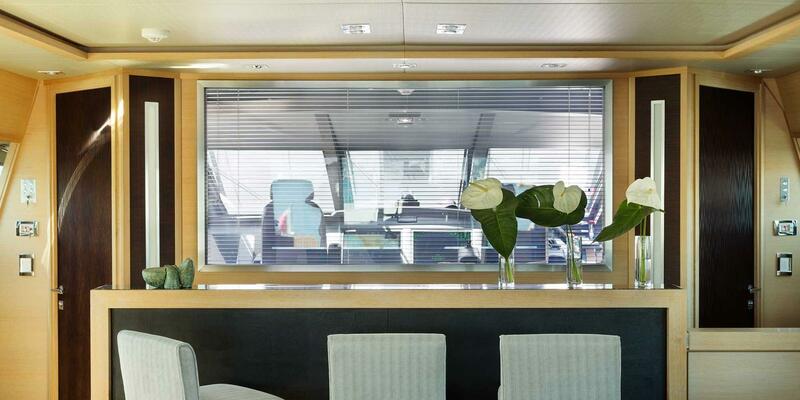 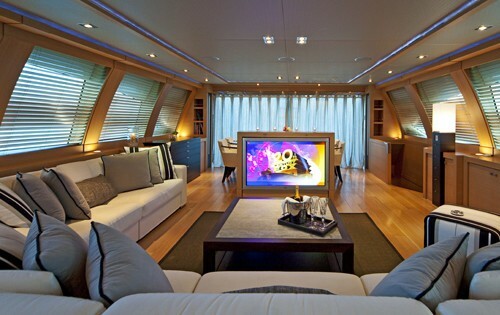 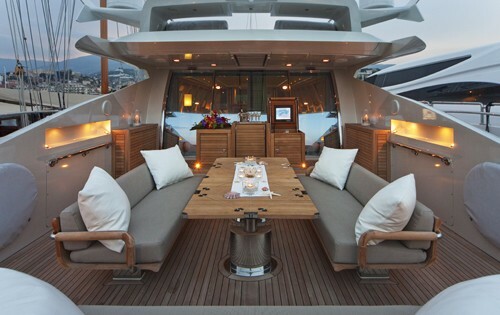 Also lent their talents for motor yacht ESCAPE II’s contemporary and spacious interior with ample head room and wide panoramic windows for natural light. 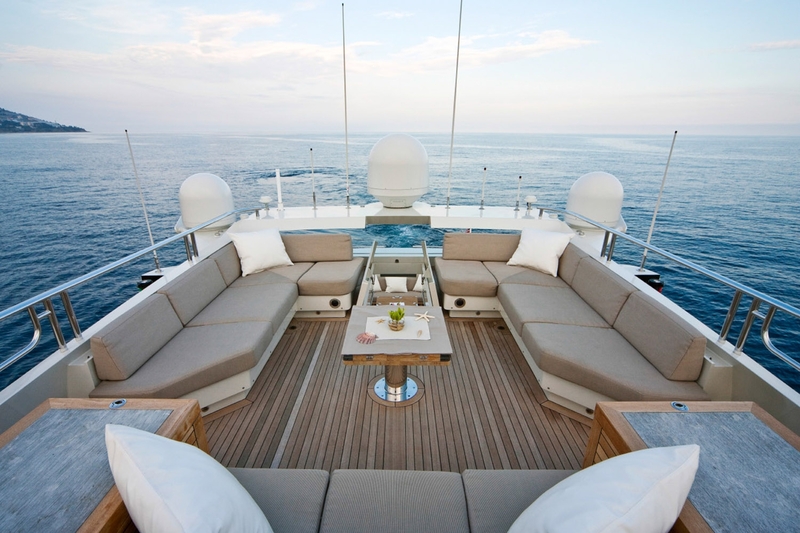 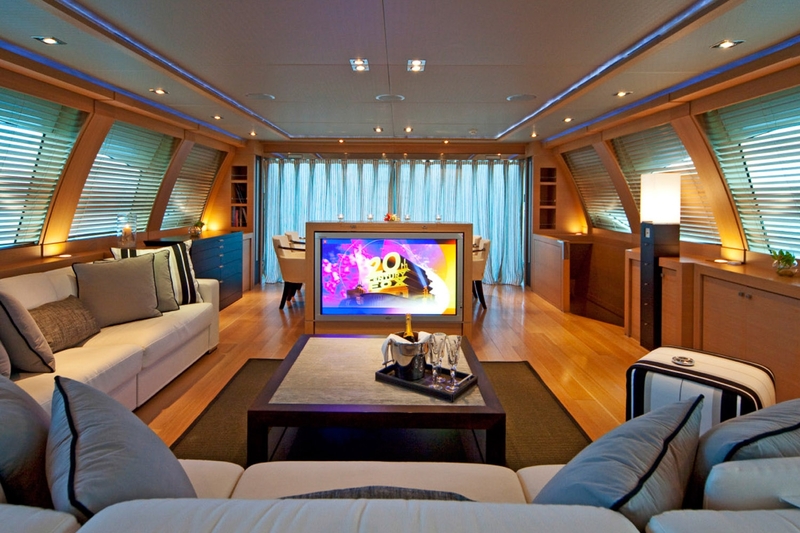 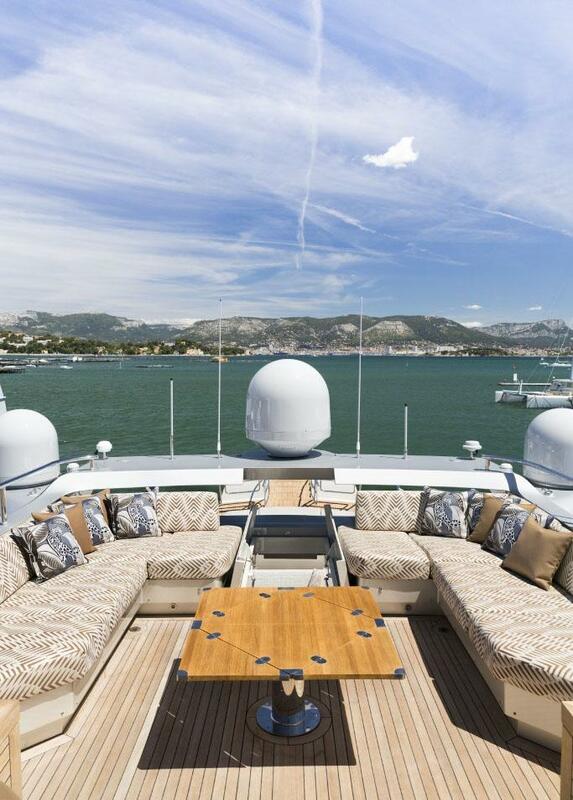 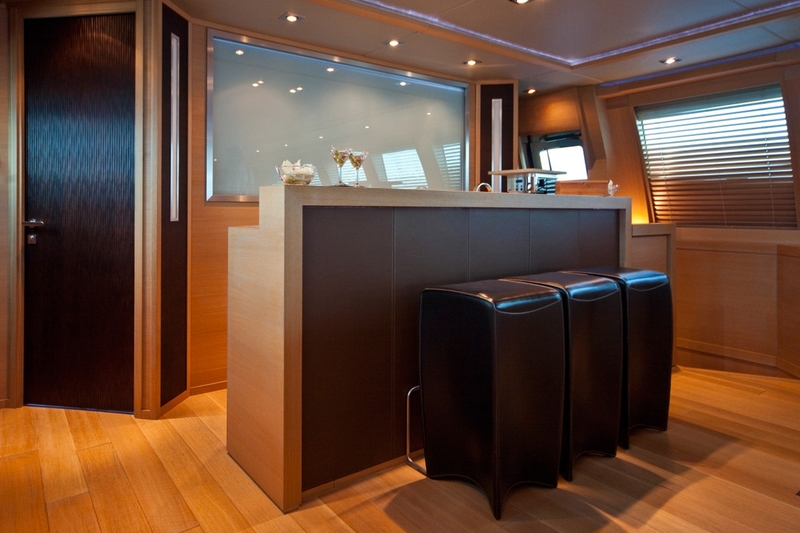 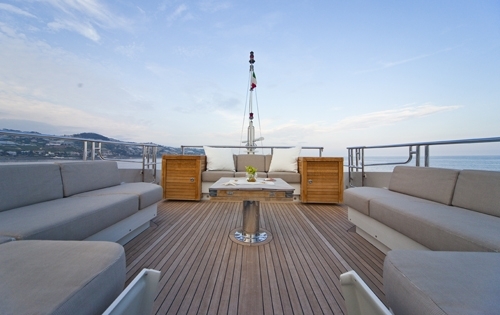 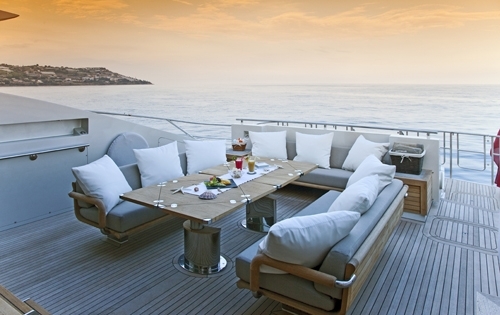 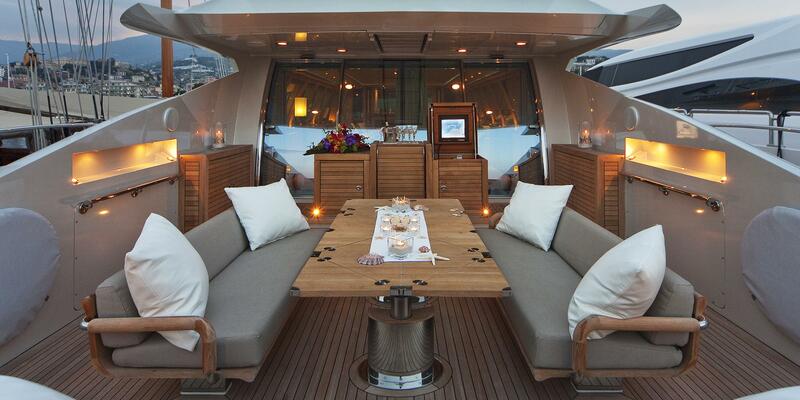 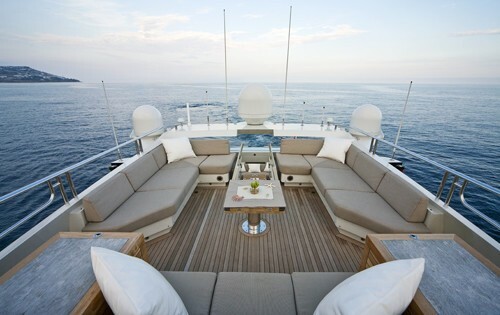 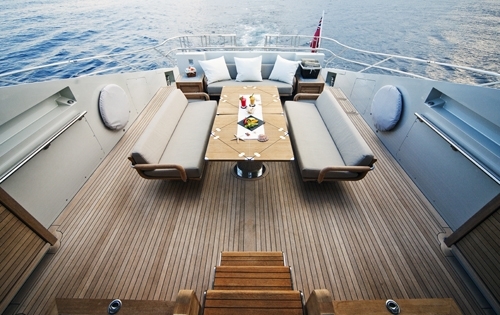 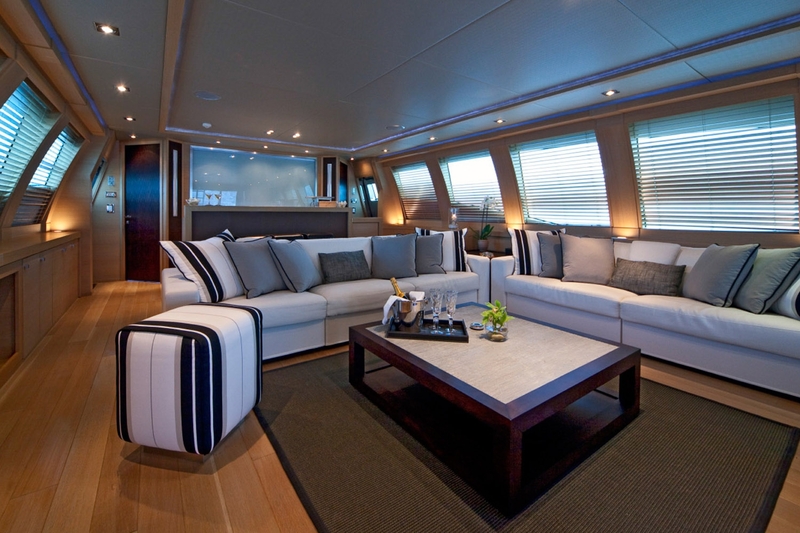 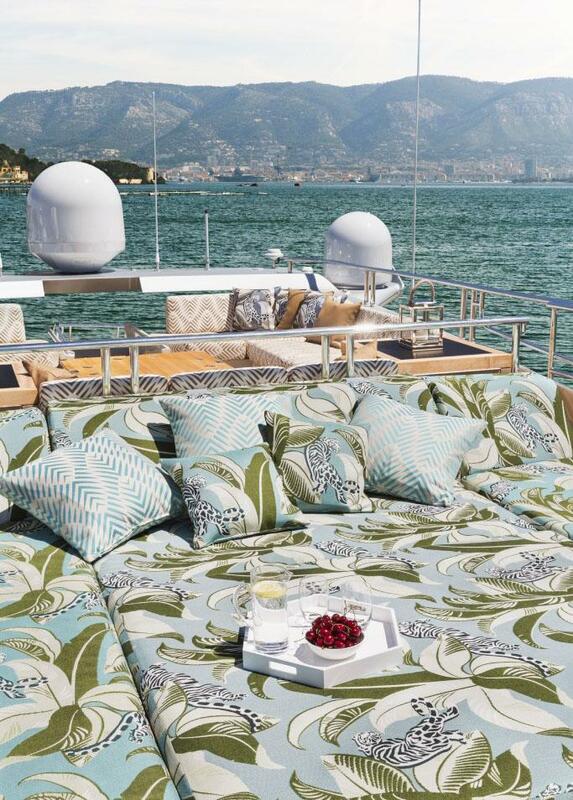 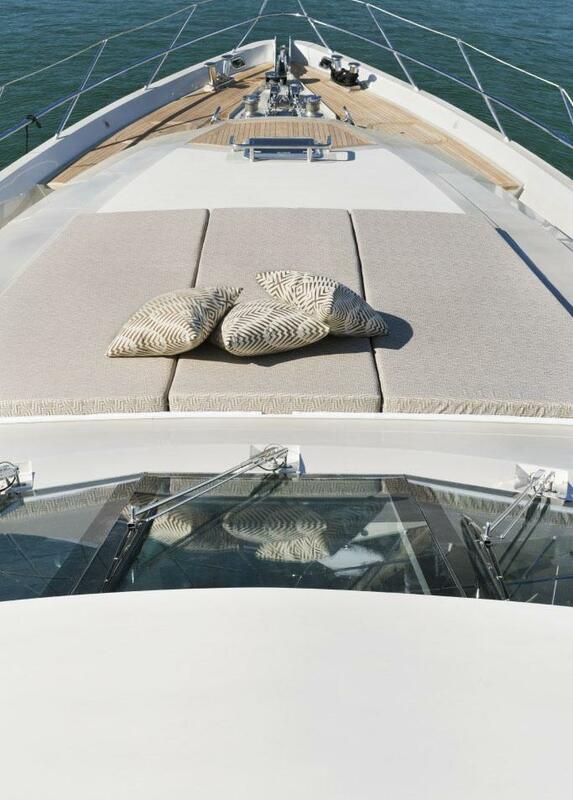 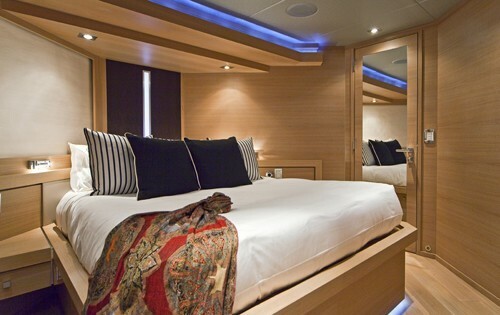 This luxury yacht offers simple, luxurious and sophisticated surroundings and can accommodate 6 to 8 charter guests overnight. 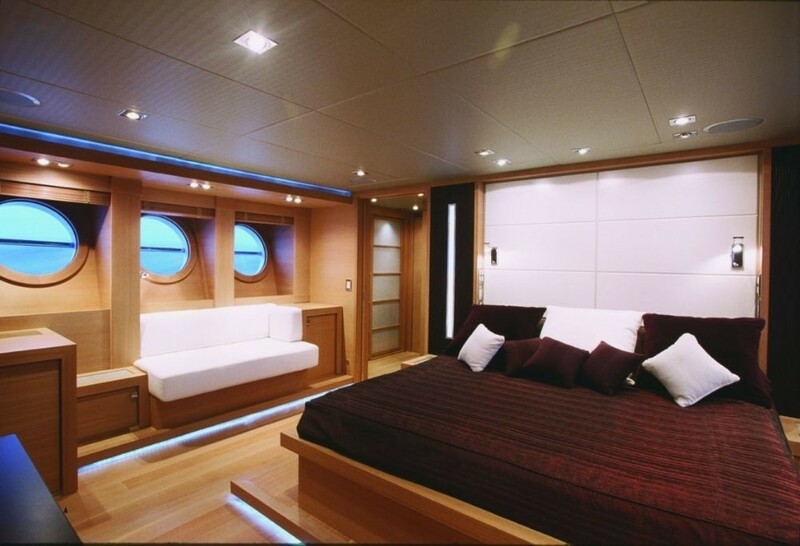 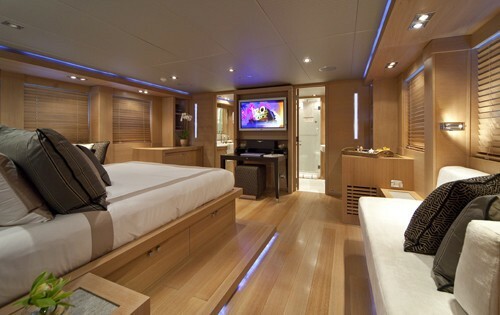 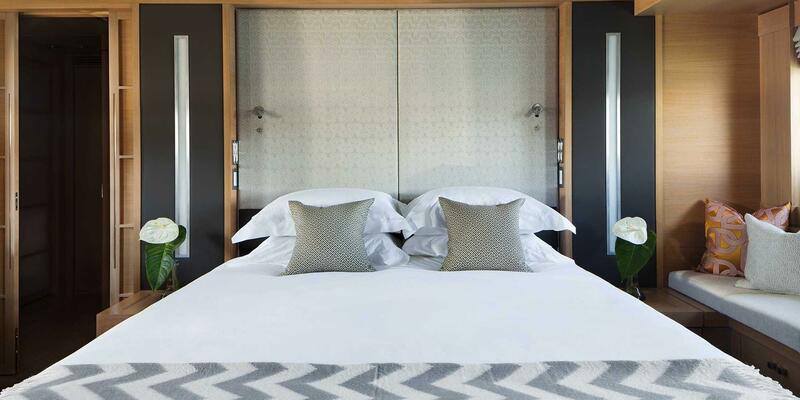 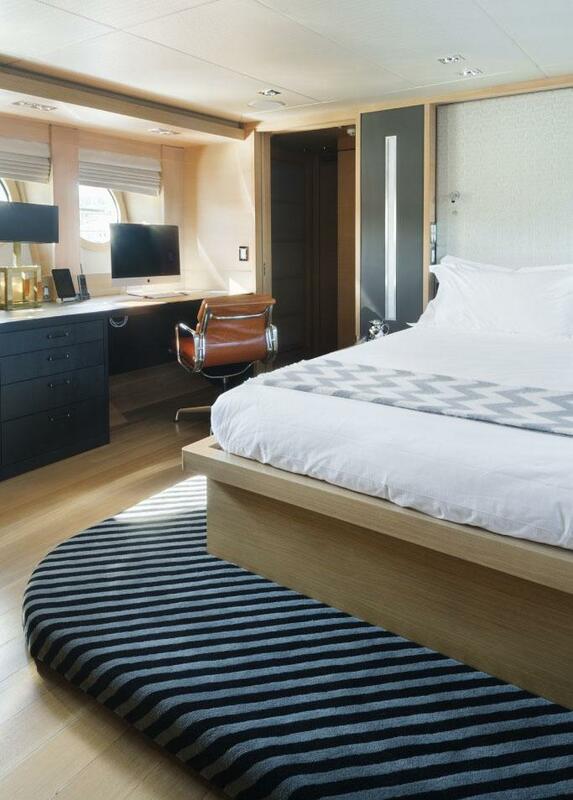 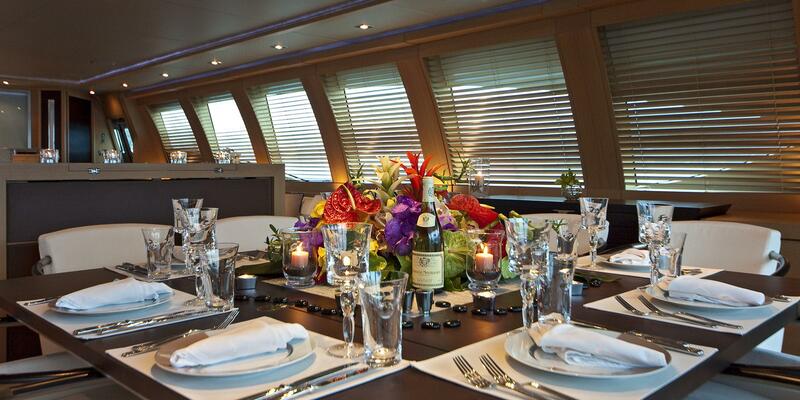 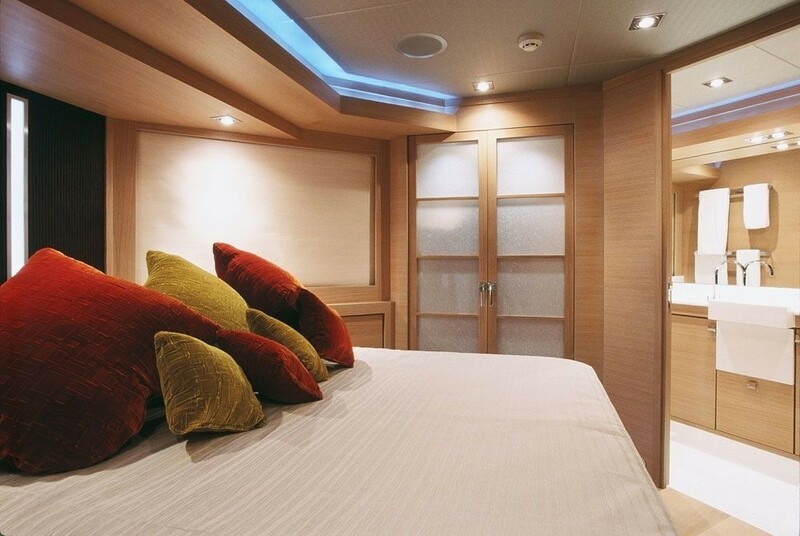 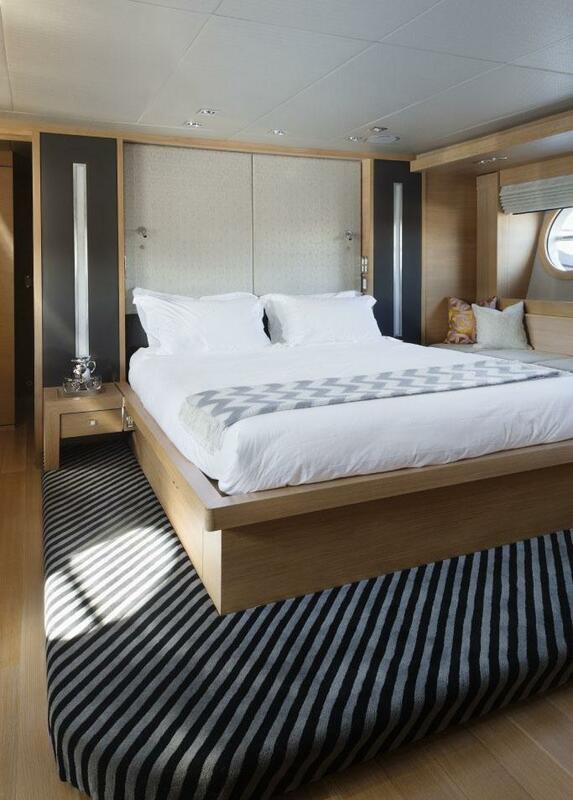 She has a Master Stateroom and two matching Queen Staterooms with private ensuites. 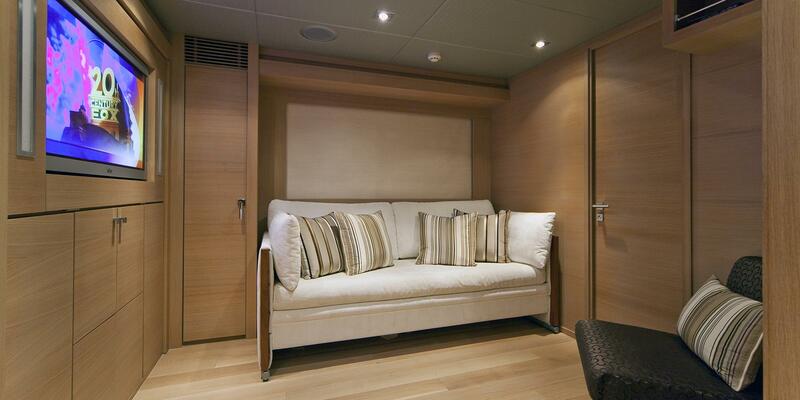 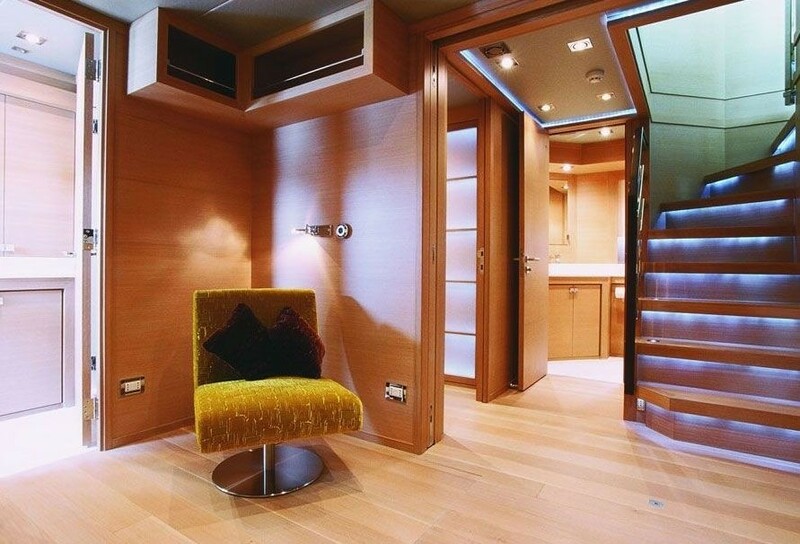 The lower salon can be converted to a 4th Twin Guest Cabin with two bunk beds and adjoining ensuite. 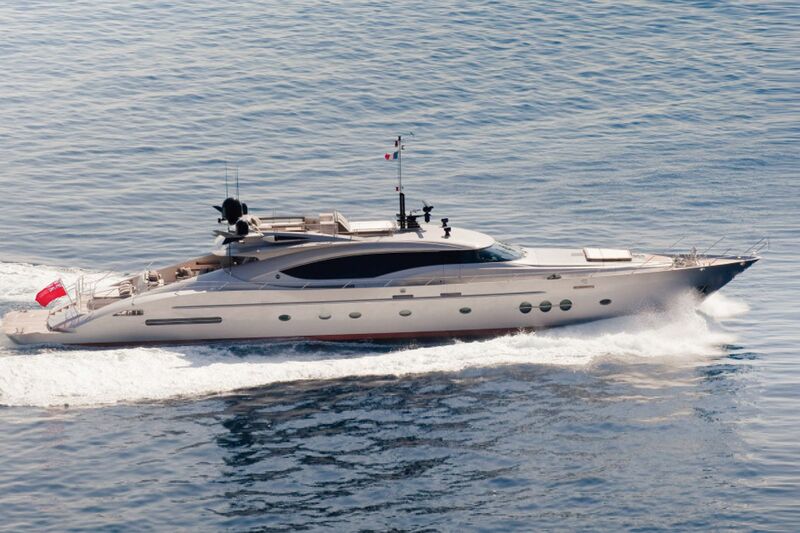 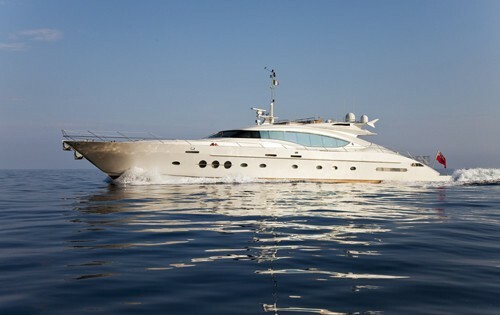 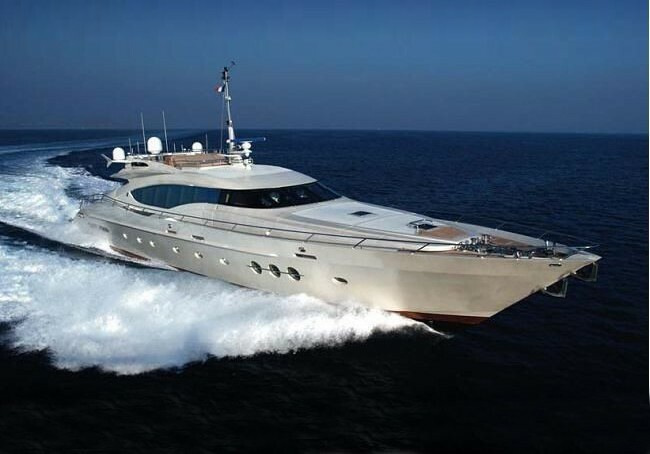 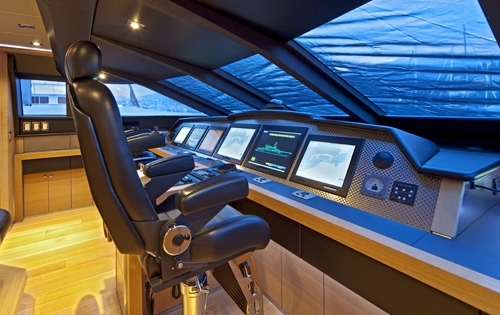 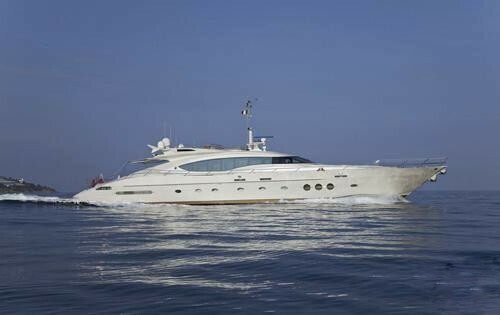 Powered by two MTU 12V4000 DDEC M90 engines, she has an impressive top speed of 30 knots and a cruising speed of 22 knots. 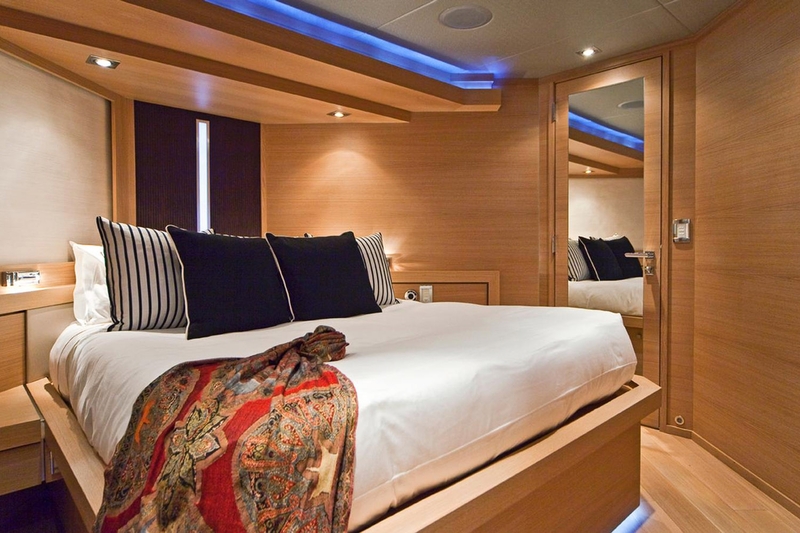 ESCAPE II has the following accommodation: 6-8 Guests Sleeping and 12 whilst Cruising in 3 Double and 1 Twin cabin Total Crew: 5 Natalia offers simple, sophisticated surroundings to sleep 6-8 guests in a Master Stateroom and two matching Queen Staterooms with private ensuites. 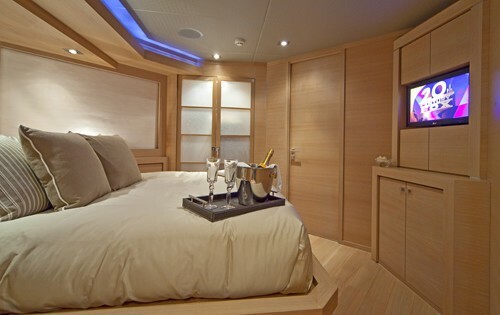 The lower salon can be converted to a 4th Twin Guest Cabin with two bunk beds and adjoining ensuite. 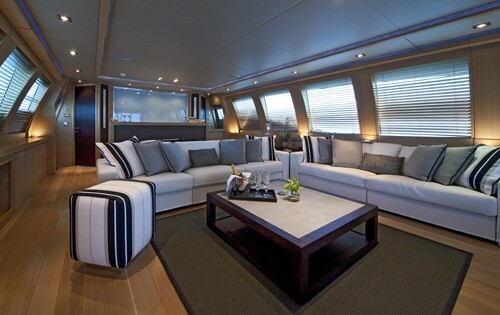 Description: • Wood work throughout is Oak • All soles oak plank, no carpet Aft Salon & Dining • Bar forward • Entertainment area with sofas on center • Dining table aft • Guest area stair entry to starboard Master Cabin, 2 double guest cabins and a 4th double cabin, which can be converted into a second salon. 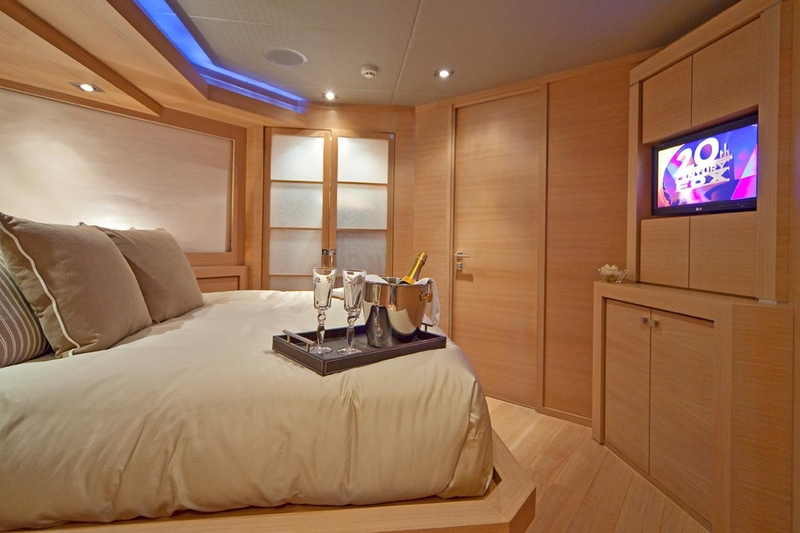 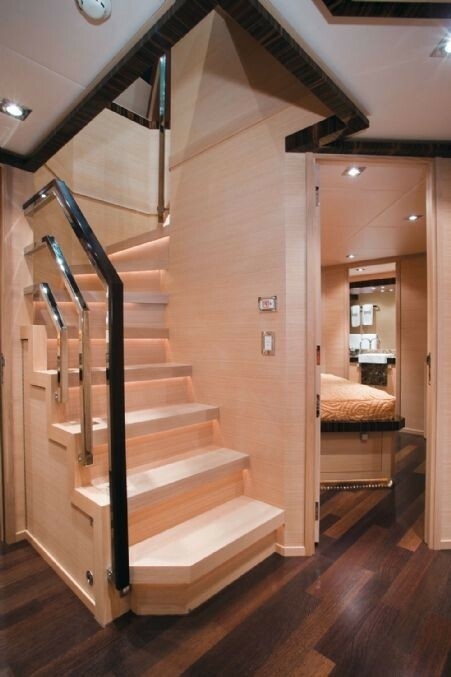 Master: • Forward on lower deck • His and her heads forward • King size bed • Two (2) settees and large vanity • Private foyer Guest Accommodations: • Two (2) X VIP cabins port and starboard • Ensuite heads • Queen Berths • Day head to starboard Convertible Salon / Twin Bunk Guest cabin: There is a convertible stateroom to port, with pocketing partition and pull-out sofa berth turning into a twin bunk bed with dedicated private head. 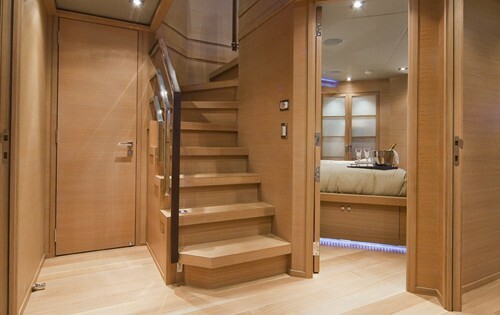 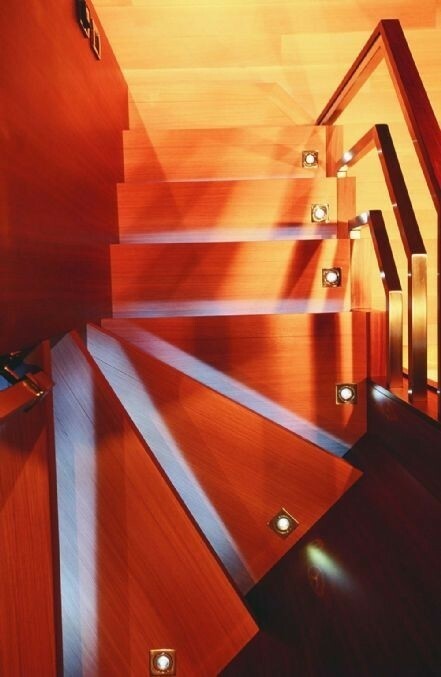 Headroom: 2.10m in the Salon (walkway), 2.15m in the middle of Salon, 2.07m in Master cabin, 2.09m in Guest Cabins, 2.09m in foyer and 2.0m doorways in guest areas.